A year devoted to Cultural Exchange in order to celebrate who we are and be empowered by our heritage, to understand one another better and share our stories through music, dance, food, and literature. We believe that having more cultural knowledge brings an awareness and openness to a different way of thinking. Through cultural exchange RL’s circle effect became a GLOBAL effect. RL started it’s year focused on Cultural Exchange in Peru with the very first International Beyond Workshop Series. 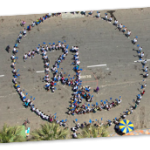 RL left its’ mark in the hearts of 70 students and teaching artists from Lima, Peru. 8 scholarships were awarded to BWS NYC. As leaders in training, BWS participants affected the lives of 175+ children and families that gathered at the district of El Carmen in Chincha, bringing music and arts in order to create a healthier community. Beyond Workshop Series NYC in our 6th year our training program we introduced an interdisciplinary format. 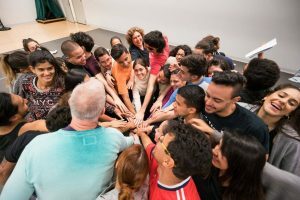 16 international students from Colombia, Peru and Mexico and 34 participants from NYC created one of the strongest Beyond Workshop Series we have had to date. Viva Broadway, an initiative of Broadway League, Kids Night on Broadway – Luis Salgado directed the cast of Amigo Duende in an interactive presentation, kids and adults learned funky dance moves and a small part of a song from the show composed by Joshua Henry. These activities left children empowered to use their imagination everyday to make their dreams and goals become reality. 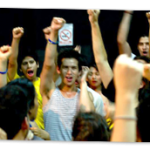 International Conference of Population and Development (ICPD) – Choco Orta, Ruben Flores, Jose Ortiz, RL artists and volunteers performed “Atrévete a Más” and “Our Deepest Fear”. This launch event of the High-level Task Force of ICPD at the Ford Foundation allowed us to reach a new audience of global dignitaries and political figures. 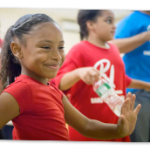 Our 6th Annual D2GB Children’s Performing Arts Camp brought the focus of cultural exchange to the kids of NYC. 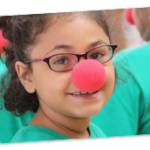 Campers took Puerto Rican, Peruvian and Mexican folkloric classes as well as contemporary, hip hop, clowning and acting. This year’s camp also had an underlying theme of love, growth, and a strong presence of RL’s Circle Effect. We received over 300 applications and accepted 214 children from schools and community centers as well as 8 international campers. The D2GB School Arts Program took up residence at Claremont International High School, in the Bronx, with a choir and a drumming class with the goals of teaching students the fundamentals of music, instill self awareness, ensemble building, responsibility, respect, and civic involvement. 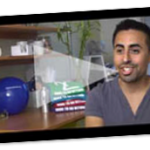 RL’s Media & Video team created 12 new videos helping us reach over 133 countries with 35,000 views in 2013. 43% of our views comes from United States and 57% from countries like Peru, Mexico, Brazil, Colombia, Spain, Puerto Rico, Canada, Poland among others. 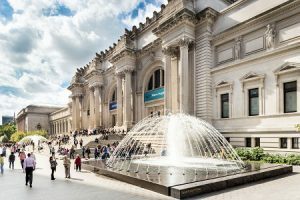 A 30 minute documentary style video of the BWS -NYC was created by media coordinator Elias Avalos. In June, we hired our first 2 staff members supported by Broadway Cares/Equity Fights AIDS. We had over 200 volunteers including people from Latin America support our organization this year. In our continued desire to expand our mission and reach to those who need inspiration and change we need funds. This year we focused on getting more funding through fundraising. 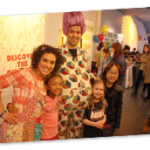 We developed 2 new fundraising projects, the 1-on-1 Campaign and the 2013 Dance-A-Thon, that brought in 30% of our revenue. We are looking forward to increase this number for 2014 and 2015. Check our 2013 Report and the 2012-2013 Financial Statement for additional information.